Internal Revenue Service (IRS) Form 1040X is titled "Amended U.S. Individual Tax Return." This form is used when a taxpayer notices that they made a mistake in their calculations or are entitled to unclaimed credits or deductions on a previously filed tax return. Form 1040X is a tax return. When completed and submitted, it replaces the previously filed return that it was intended to correct. It cannot be used as a substitute for a 1040 or other type of tax return or be used to file a return after the deadline. Who Needs to File It? Any individual taxpayer who realizes that they incorrectly completed a tax return they filed in a prior year can use the form to correct their mistake. An accountant or lawyer can also use it on behalf of a client for the same purpose. It can be used to correct mistakes on Forms 1040, 1040A, 1040EZ, 1040NR and 1040NR-EZ. 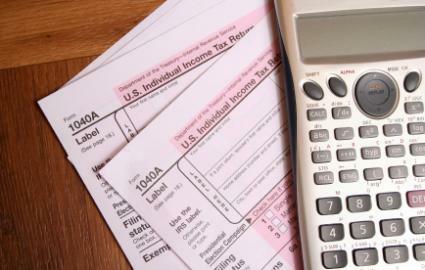 A separate form must be filed for each year's return that the taxpayer is amending. The form may also be used to make an election after the deadline has passed, change amounts after receiving a notification of adjustment from the IRS or claim any unused credits. Here again, these actions are only available if the unclaimed credits or adjusted numbers were available through one of the five applicable forms. How Does the IRS Use the Form? The form is used by the IRS to make changes to a previous year's tax return. Essentially, it tells the IRS that a mistake was made and identifies the mistake. Subsequently, the IRS will rely on it to recalculate the amount of tax due or refund owed and to submit the proper bill or mail a payment, if necessary. After filed, the form replaces the prior return for the specific issue for which it was provided, meaning the reason why the amendment was made. The prior return is not destroyed; any contents not affected by the amendment remain in effect. Form 1040X should be filed immediately upon a taxpayer or their representative realizing that they made a mistake. Their mistake should not be due to fraud, but instead due to a miscalculation or other honest error. An individual who commits tax fraud cannot negate their criminal liability by filing a 1040X. Generally, the form must be filed no later than three years after the date of the original filing or two years after a tax was paid. Amended returns filed after these deadlines may be rejected. How Is the Form Completed? Unlike other IRS forms, Form 1040X does not need to be completed in its entirety. The sections that must be completed are those that pertain to the correction the taxpayer wishes to make. In all circumstances, however, the taxpayer must complete the first and third sections. The first section identifies the taxpayer, provides contact information and identifies the taxpayer's filing status. This section should be completed through the filing status question. The third section consists of space in which the taxpayer must explain what they are amending. Here, the taxpayer should identify the reason why they are filing an amended return. If the reason for the amendment is that the taxpayer mistakenly completed some aspect of their identification information, such as accidentally providing a wrong Social Security number, they need only complete sections one and three and submit the form. It is important to check these instructions to determine the sections that must be completed. Doing so saves effort and time. After the lines that need to be completed have been identified, the taxpayer must turn to adding the information that they seek to update. Types of information requested on these lines include income and adjustments, payments, tax liability and refunds or amounts owed. In each line, the taxpayer must identify the previous return's information, amount of difference they seek to make and the new, correct amount. The form tells the taxpayer which line of their previous return contains the information they must provide in the first column. Filing a Form 1040X enables you to correct a mistake you made on a previous return. Usually, filing the form does not result in any penalties, but if your changes show that you owe more money than you paid, you may be subject to fines or interest charges. If you are unsure how to complete the form for your specific issue, seek advice from a tax professional.